Click here to view the latest Clish! 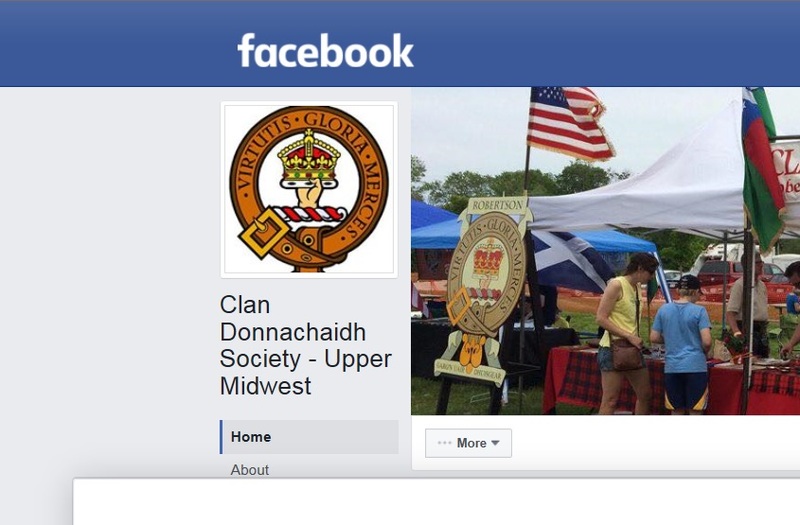 Clan Donnachaidh Society Upper Midwest (CDSUM) was created to keep the rich customs and history of Scotland alive. 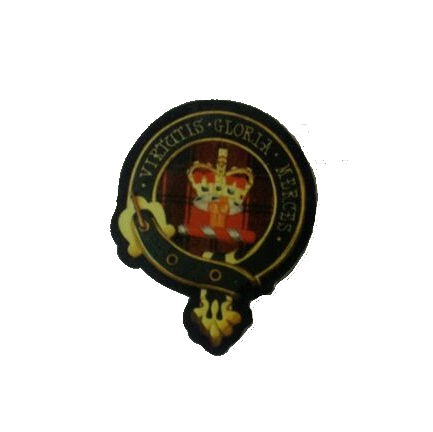 Our members consist of families of scottish heritage from over 50 family names, and is considerd by many historians to be among the oldest in scotland. By creating a midwest branch we are able to keep members and the public informed at various events both locally and regionally. We are dedicated to helping curious onlookers search out their identity while displaying all our heritage has to offer. Visit us at an upcomming Highland Games in your area to find out more, or better yet become a member and join in the fun! Membership is open to all. Interested in visiting Scotland? Want to know more about the sites and lodging? Possible International AGM trip? Meet our Journey Home Consultant Judy Hardin Harkin. Judy has been assigned by Clan Donnachaidh to help fellow clansmen with questions such as these. Judy is not a travel agent, but her travels and her knowledge of Scotland can help you make the most of your next visit. Click here for her bio letter. 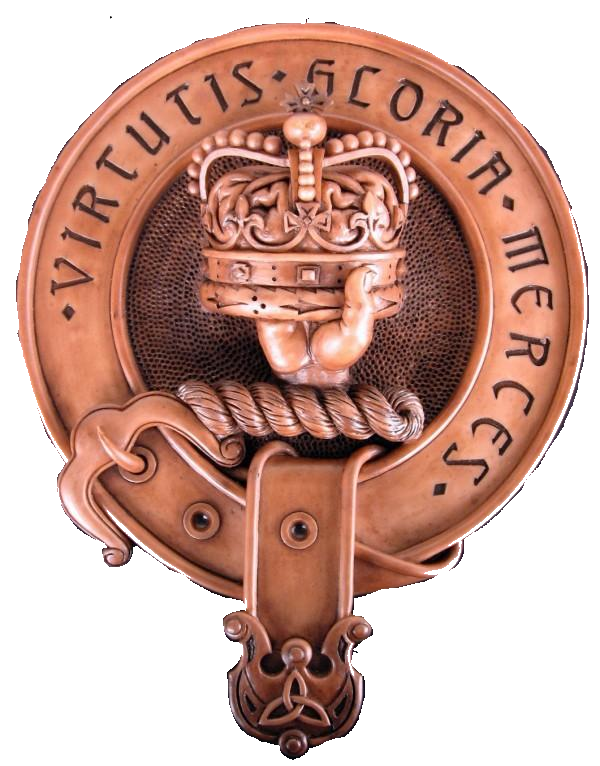 Judy has also provided a newsletter with more information about Scotland, clan lands, and with events such as the upcomming 2016 International AGM meeting. Click here for the 5 page newsletter. Clan Merchandise Now for Sale! Pre-Owned and Member items now for Sale! Visit our online store for great pre-owned options on clothing, accessories and weapons. Click here for more details. 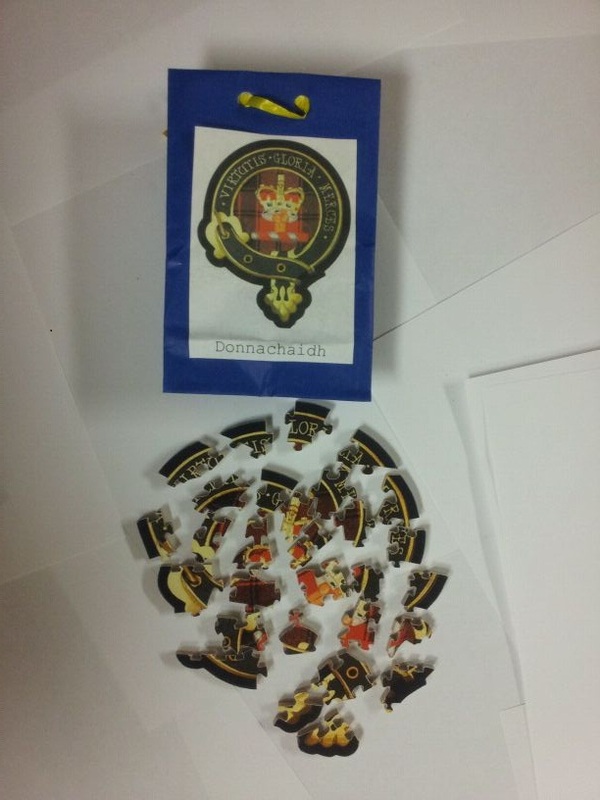 Buy your clan crests and puzzles today! 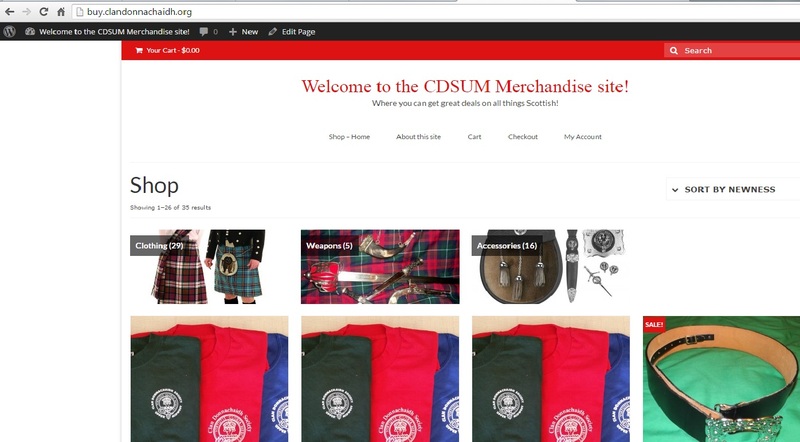 Jon Carlson, member of Clan Donnachaidh is offering his hand made items for sale (outside of this site). Payments can be made via mail order or through other means with the seller. Click here for more details.